IT Newsy 3 - new news template from the team IceTheme, aiming at the creation of multifunctional portals. Template made in bright colors, contains 6 preset styles and supports expansion studio, providing fast loading site and stylish display materials. 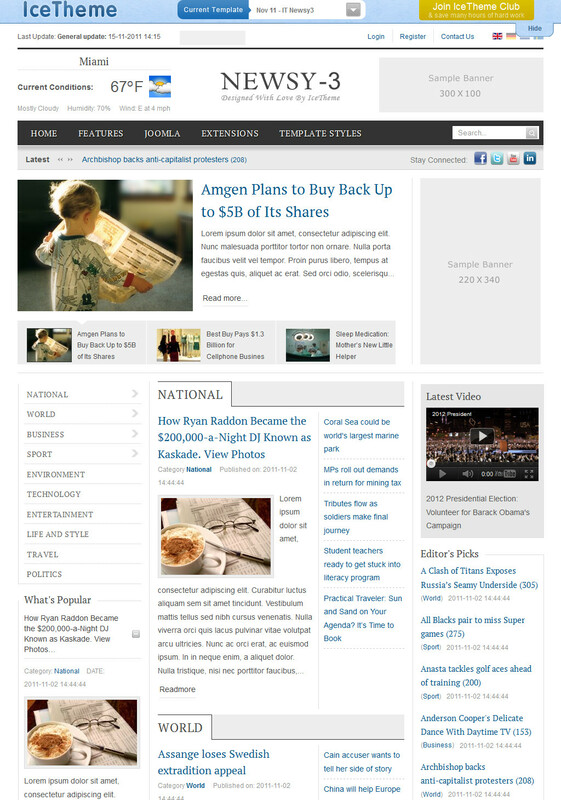 IT Newsy 3 is able to change the layout width depending on the size of the screen and fully supports mobile devices.